The Safety Nailer has straps on both sides of the device for right or left handed users. The magnets allow the fasteners to not fall out of the device during open and closing of the Nailer. When working at heights and holding up materials the fastener will not fall out of the Nailer allowing for a more efficient work operation. In the event of working with non-magnetic fasteners the magnets on each side of the device will attract to each other preventing the non-ferrous fastener from falling out. 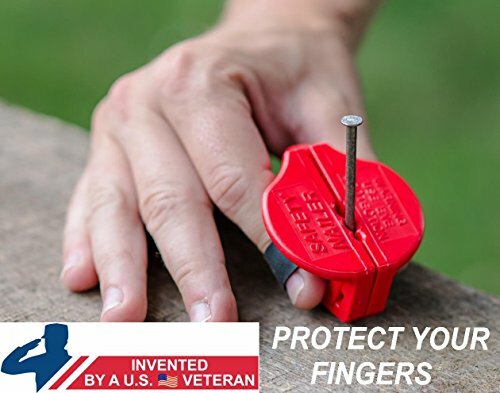 Used to install Fasteners to include Nails, Screws and Staples larger than 1.5 inches in length. If you have any questions about this product by Safety Nailer, contact us by completing and submitting the form below. If you are looking for a specif part number, please include it with your message.